There are a number of actions you can take to protect your land. + Support efforts to have the Mining Act changed so that a claim cannot be staked without land owner consent and to have legislation introduced so that surface rights owners may acquire the mineral rights to their property. + Be informed about the title on your property. Do you own surface rights only, or does your title include both surface rights and mineral rights? You can find out by doing a detailed search on the title of your property at your land registry office. + If you own surface rights only, become informed about your rights under the Mining Act of Ontario and vigilant as to the status of claim staking on your property. Is land open for staking and is there an active claim? Is there a mining lease on your property? What is the activity of claim staking in the area around you? + As of December, 2008, there are 37 active claims in Bedford district held by Graphite Mountain Inc. and many areas that are open to staking. To find out if your land or land in your area is open to staking, or if a claim has been staked on or near your property, go to www.claimaps.mndm.gov.on.ca and click on map search to bring up a map of Ontario. Select Southern Ontario and search by the old township name (i.e. Bedford). Using the tool (+), click to enlarge. Active mining claims show as green. Keep zeroing in on a location to bring up all the details of an area. Questions about mining claims can be directed to the Provincial Recording Office at (888) 415-9845. + If your property is open to staking and you hold a valid prospector's license, you may stake your own mineral rights or ask a licensed prospector to stake the claim for you. The claim must staked out in size and form as detailed in the Staking Regulations and in substantial compliance with the Mining Act and Staking Regulations. An application to record the claim and a fee must be submitted to the Provincial Mining Recorder. If you ask a licensed prospector to stake a claim, you will want to be sure that your name appears on the application as the recorded holder of the claim. + Staking a claim protects your land for a limited time. Within the first two years and for each subsequent year, you must perform work in order to keep the claim in good standing in the amount of $400 per 16 hectare unit (about 40 acres) per year. 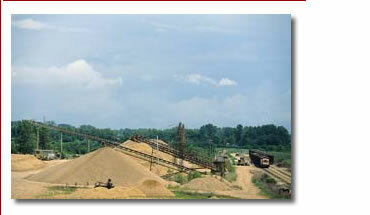 Assessment work must be reported to the Mining Lands section of MNDM. If work is not done and reported, the claim is forfeited and can be staked by someone else.